Kitchen remodels are amazing because of how much time your client likely spends in their kitchen; remodeling it will turn it into a new sanctuary that they enjoy. At ProSource® of Columbia, you’ll find the products you need to transform your client’s cooking space into a kitchen fit for a chef. Take advantage of our resources today! Kitchen cabinets at a fair price are hard to come by, but you can find the exact color, wood type, door shape, and brand you want at the price you want when you work with ProSource. 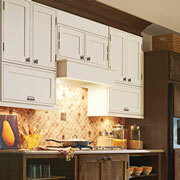 Those beautiful new kitchen cabinets will need cabinet hardware to complete the look! 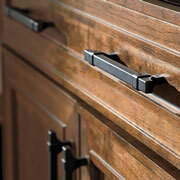 Browse our pull handles, knobs, hooks, and more when you come into our showroom. We’ll guide you to the kitchen countertops that’ll work best in your client’s space and budget restrictions. 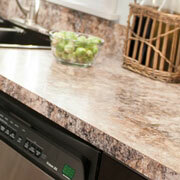 We have quartz, granite, recycled materials, and blended raw materials to choose from. A kitchen sink can be chosen for its function or beauty, but we choose to pair both together so your client can get exactly what works for them. Whether they’re looking for an apron-front sink or a sink with multiple basins and faucet holes, we’ll help them find what’s right. 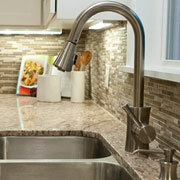 Kitchen faucets also need to be functional while beautiful. 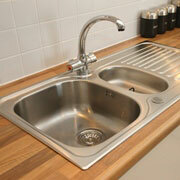 Our high-quality product choices accomplish that through a range of styles. We have beverage, pot-filler, and pull-down faucets all available in various colors and heights and with different handle types.